Learn to TURN ON Laptop's WiFi button. Your Laptop can easily connect wifi network after enabling your WiFi button. Sometimes we turn off our WiFi switch of the laptop while playing on the keyboard. There are some function keys to enable or disable the laptop's WiFi device. Usually that keys are located on function keys like f2 or f12. If the WiFi device is disabled, you cannot search for new wireless network around you. its pretty simple to enable the Wireless Device on Laptop. Simply tap on f2 key or f12 key. 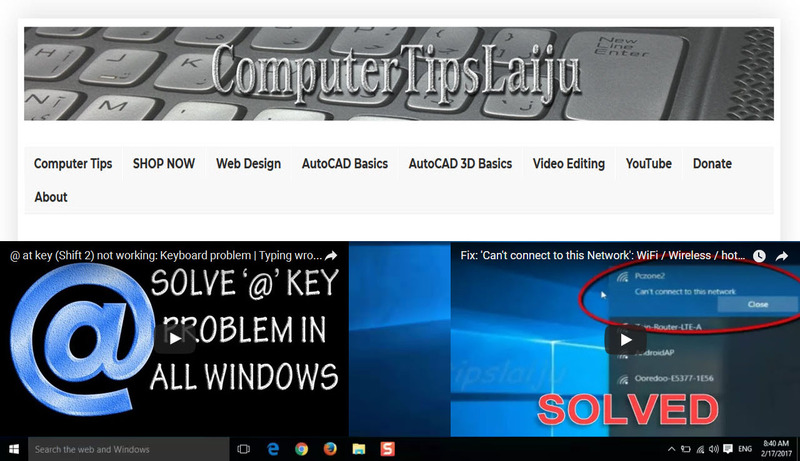 if it is not working, press and hold fn key and then tap on f2 key or f12 key. On some kind of laptops, the WiFi keys are located on the body. You can find it on laptops front, left or right side of the laptop. Just turn on wifi using that switch. you can find a logo icon of wifi near that wireless switch. Some laptops providing an LED indication on wifi button. red color indicates wifi is off or disabled. white or blue color WiFi button indicates, wifi device is ON and working properly. ATH M50x Best Studio Headphone under $150. audio technica ath m50x is the favorite choice of top audio enginears and audio reviewers. ath m50x has awesome design and good build quality. ath m50x headphone are build with pro-grade materials. audiotechnica headphones are able to produce extended frequency range with good bass, mids and highs. athm50 is very good for audio monitoring. ath m50x has rotatable earcups. audiotechnica headphones have good noise cancellation. ath-m50x has super comfortable earcups and it is very useful for longtime music listening and dj mixing. ath m50x price is very reasonable and anyone can affrode. audio technica ath m50x reviews will wxplain its quality. if you like this product, buy using the link given in video description. amazon will give a small commision to me, but it won't cost any extra money to you. 100% Working method to disable windows defender on any computer. using this method, you can disable windows defender permanently. no automatic enable after restarting. Follow this if you don't wish to use Windows defender antivirus on windows 10. Windows 10 and Windows 8 is coming with free windows defender security. This Windows defender will update during windows update. This Windows defender is a very good antivirus feature from Microsoft. Because if anybody is not wishing to purchase an additional antivirus security, they can use this free windows defender. This windows defender antivirus is able to handle almost all virus infections properly. Windows defender will keep your computer clean and safe from hacker and from any other cyber attacker. If you are wishing to use any other antivirus, You can disable windows defender manually in windows 10. Some antivirus like Kaspersky and Eset nod 32 will automatically disable windows defender during its installation. If you just want to disable windows defender for temporary, you can do it through the control panel. But it will automatically enable after windows restarting. if you want to disable windows defender permanently, do it using gpedit.msc group policy editor. here we are disabling the windows component through regedit. Your hardware settings have changed, please reboot your computer for these changes to take effect. 100% Working!!! Fix easily...Your hardware settings have changed, please reboot your computer for these changes to take effect. This error is usually coming on the computer which has AMD graphics card. You can easily disable this pop-up error message by just disabling AMD external event utility. I have just reformated one laptop with an AMD graphics card. But just after installing the original AMD display driver from the manufacturer's website, the error message begins. "Your hardware settings have changed, please reboot your computer for these changes to take effect". I was totally confused with this annoying popup saying to reboot your computer. Then I realized that the problem might be related to display driver. I have just disabled the AMD external event utility and the problem solved. There may be other reasons too to occur this kind of system settings change reboot errors. But on this system with AMD Radeon display driver, this problem can be solved in this method. Can't connect to this network Windows 10 Tips. 11 tips to solve any internet connection problems. limited access-cant connect to this network etc. If you can't connect to the wifi network, check these 11 network troubleshooting tips. 11 methods to fix Wireless internet connection problem. Restart after each step.